Popular Nigerian musician, Innocent Idibia, known also as 2Baba, has called on youth to shun violence in the forthcoming general elections. Idibia, who spoke during the Vote Not Fight concert in Kaduna, called on the youth not to make themselves available for violence. He equally admonished them not to sell their votes to desperate politicians. 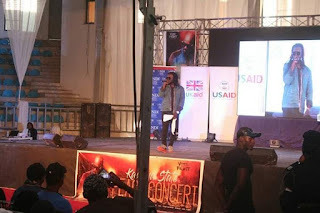 The concert which held in Kaduna state on the 13th of January 2019 had Artist from all over the country the likes of Classiq, B.O.C and much more.